Open up a command prompt by clicking Start –> Then Run. Type in cmd and click Ok. This example is a success. After you receive the > prompt you may also type in a website to test. In this case we used www.Google.com as our example. If you receive their IP addresses back, again this is a successful attempt. This is an unsuccessful attempt. Notice the DNS request timed out. You can also try using these alternate DNS servers. You must statically assign them to your network connection. This blog came in so handy. 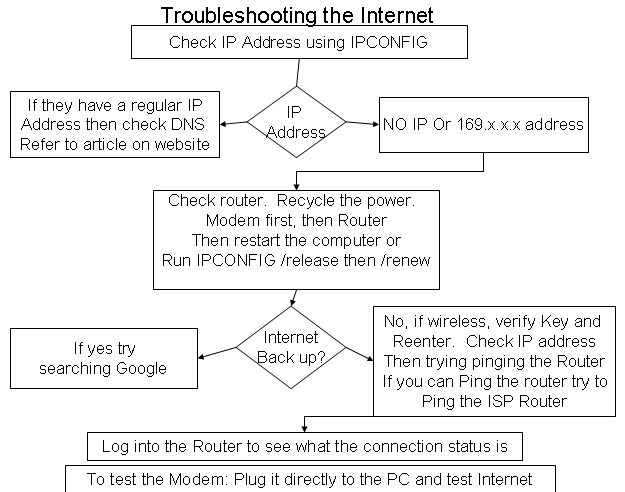 I’ve been having problems with troubleshooting my internet connection as they keep on recurring from time to time. I will share this to my colleagues.